The allegory of the olive tree (Jacob 5) is one of the most famous chapters in all of Latter-day Saint scripture. This prophetic fable yields a rich harvest to careful readers who have mined it for meaning. Readers from all walks of life have found its symbolism meaningful and edifying; however, some may wonder whether the story accurately depicts practices and scientific realities associated with growing and cultivating olives in the Mediterranean and what those details may symbolize. Allegories are powerful stories, useful for teaching because they make lofty or complicated concepts relatable and understandable. In its original context, Zenos’s allegory resonated with his Israelite audience because they were familiar and experienced with olive cultivation.11 Jacob’s audience probably would not have known as much about raising slow-growing and climate-sensitive olive trees, but they would have related to the allegory because they saw themselves as a branch of the house of Israel, broken off from the mother tree and placed in a far corner of the vineyard (Jacob 5:14). Even without understanding all the nuances of botany and olive cultivation, readers today can learn a great deal from Zenos’s allegory and Jacob’s application of it in his own teachings. Still, understanding technical botanical principles and best agricultural practices can deepen awareness of and appreciation for the precise gospel lessons embedded within this sweeping metaphor. Just as the Lord of the vineyard would stop at nothing to reclaim his favored tree, so too will Heavenly Father go to great lengths to reclaim His lost children, even resorting to unconventional, desperate, and perhaps even counterintuitive methods in hopes of implanting His love in their hearts, hoping that it may take root. John W. Welch and J. Gregory Welch, Charting the Book of Mormon: Visual Aids for Personal Study and Teaching (Provo, UT: FARMS, 1999), charts 81, 82, 83, and 95. Wilford M. Hess, Daniel J. Fairbanks, John W. Welch, and Jonathan K. Diggs, “Botanical Aspects of Olive Culture Relevant to Jacob 5,” in The Allegory of the Olive Tree: The Olive, the Bible, and Jacob 5, ed. Stephen D. Ricks and John W. Welch (Salt Lake City and Provo, UT: Deseret Book and FARMS, 1994), 484–562. Wilford M. Hess, “Botanical Comparisons in the Allegory of the Olive Tree,” in Jacob through Words of Mormon, To Learn with Joy, ed. Monte S. Nyman and Charles D. Tate Jr., (Provo, UT: Religious Studies Center, Brigham Young University, 1990), 87–102. 1. Wilford M. Hess, “Botanical Comparisons in the Allegory of the Olive Tree,” in Jacob through Words of Mormon, To Learn with Joy, ed. Monte S. Nyman and Charles D. Tate Jr., (Provo, UT: Religious Studies Center, Brigham Young University, 1990), 87–102; esp. 92–94. 2. Wilford M. Hess, Daniel J. Fairbanks, John W. Welch, and Jonathan K. Diggs, “Botanical Aspects of Olive Culture Relevant to Jacob 5,” in The Allegory of the Olive Tree: The Olive, the Bible, and Jacob 5, ed. Stephen D. Ricks and John W. Welch (Salt Lake City and Provo, UT: Deseret Book and FARMS, 1994), 484–562. 3. Hess, et al., “Botanical Aspects,” 508–552. 4. Hess, et al., “Botanical Aspects,” 505. 6. Hess, et al., “Botanical Aspects,” 554–555. 7. Hess, “Botanical Comparisons,” 93. 8. Hess, et al., “Botanical Aspects,” 507. 9. Hess, et al., “Botanical Aspects,” 507. Further on in the paper, they wrote: “Although it would be unusual to graft branches of wild olive onto tame trees to save the roots, there may be instances where the wild branches are more vigorous than tame or domesticated branches and would therefore be beneficial. 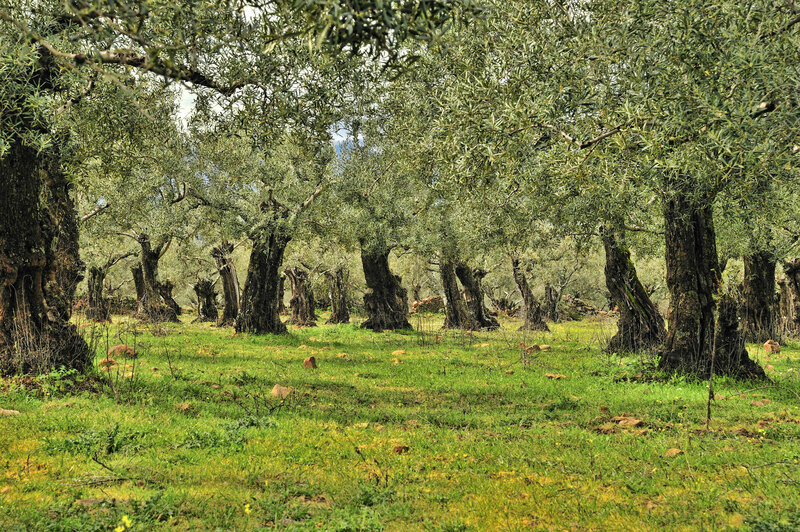 White suggests that slips from the wild olive may help to resuscitate a tree that bore badly. Possibly they could supply carbon products from photosynthesis more rapidly to support the roots, because of their vigor. Without carbon compounds produced in the aboveground portion, roots will perish. If a strongly growing scion cultivar is grafted on a weak rootstock, the growth of the rootstock will be stimulated and become larger than if it were left ungrafted. One other possibility is that the foliage from the mother tree had become infected with insect, virus, fungal, bacterial, or other parasites, and the ‘wild’ shoots were used because they were resistant to the disease-causing organisms. This possibility is enhanced by the fact that Jacob 5:9 says the old branches were to be ‘cast into the fire,’ a procedure that makes sense especially if the branches were infested” (pp. 535–537). 10. See Hess, et al., “Botanical Aspects,” 484–562. 11. See Hess, et al., “Botanical Aspects,” 487–496 for a discussion of the history of olive cultivation throughout the ancient Near East, including Israel. 12. Hess, et al., “Botanical Aspects,” 507.